There’s a boy in a bobbly hat and a red stripy jumper. His name is Wally, and he’s always disappearing! Even though he looks unusual, Wally is really good at getting lost… and it’s up to you to find him. Every time you turn the page you’ll find another fiendishly detailed scene full of tiny pictures to examine. Somewhere, Wally and his friends are hiding. But where? Can you see? A new edition of a timeless classic to keep you entertained for hours and hours. I found wally in every page. 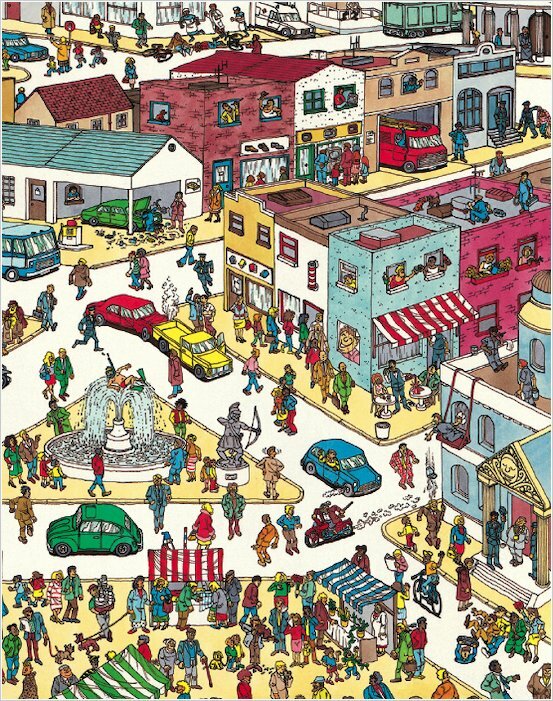 This is a great Where’s Wally book! They are so fun to do. I love them! hi,I got a different book like this at home!!!!!!!!!!!!!!!!!!!!!!!!!!!! 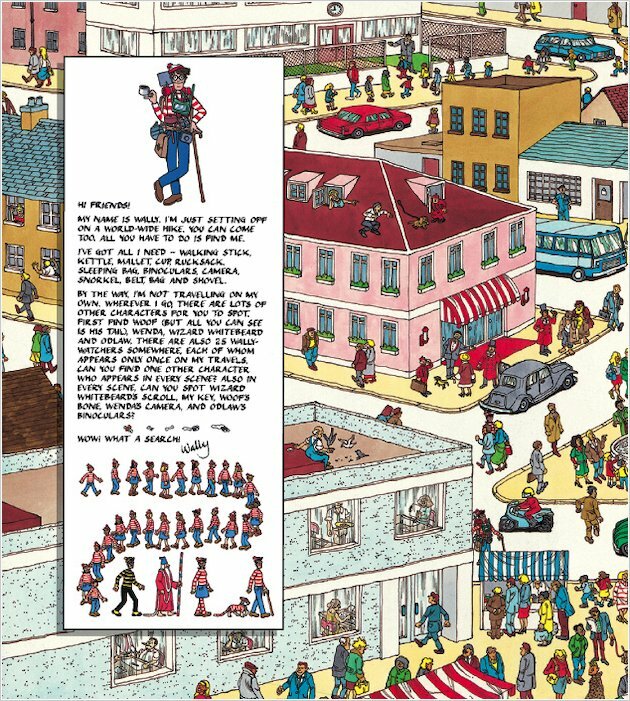 Awesome book, I love finding Wally! A good book to use a lot of time on! I recommend this great book 5/5! I have had a read of this great book! It does not have many words but has brilliant drawn and coloured pictures for kids! 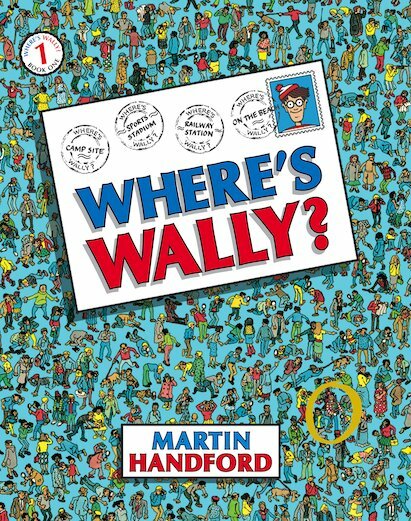 This book is a book where you have to spot Wally on your way you might find some of Wally’s friends! This book is super and is fun popular and also helps your concentration skills! Buy it now from scholastic! these books are really fun for children but it takes you time to do it. i got this big book with all of them in and i really enjoyed them since then. I have got all the where’s wally books exept for number 6!! Nmber one is good but is not super good!!! 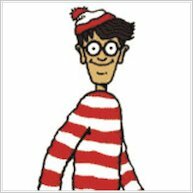 number 7 has not got many pages of looking for wally!!!!!!!!!!!! Brilliant! I love where’s wally and so does everybody in my class including the teacher! We always try to see who can spot everybody in the same picture quickest.